Saturday, December 20, 7 p.m. 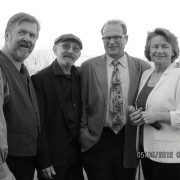 Please join us for our annual Holiday Jazz Concert with vocalist Leslie Kendall, guitarist Ed Dunsavage, bassist Joe Cohoon and drummer Chicken Hirsh for a concert of holiday favorites and jazz classics by such composers as Cole Porter, Irving Berlin, George Gershwin, Jimmy Van Heusan and others at 7 p.m. Saturday, Dec. 20, at Paschal Winery, 1122 Suncrest Road, Talent. Reservations highly recommended as this show always is a sell out! Proceeds from this performance will help raise funds for the Siskiyou Music Project Artists-In-Schools Program which brings music into Rogue Valley classrooms. or by credit card using the shopping cart below. Siskiyou Music Project welcomes back NY pianist Roberta Piket and drummer Billy Mintz for a performance at the Artistic Piano Gallery in Medford on Friday, November 14 at 7 p.m. They will be joined by L.A. bassist Putter Smith and Portland based saxophonist John Gross. Pianist/composer Roberta Piket is one of a handful of New York musicians who is respected for both her swinging and inventive straight-ahead jazz playing as well as her powerful and sensitive work in creative improvised music. For Roberta, there are no genre boundaries, only the opportunity to make exceptional music. Roberta has played professionally as a side-woman with David Liebman, Rufus Reid, Michael Formanek, Lionel Hampton, Mickey Roker, Valery Ponomarev, Harvey Wainapel, Eliot Zigmund, Benny Golson, Urszula Dudziak and the BMI/NY Jazz Orchestra and has thrice been a featured guest on Marian McPartland’s Piano Jazz, on National Public Radio. 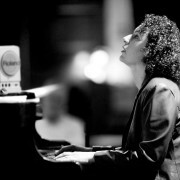 A gifted composer as well, Roberta was a finalist in the Thelonious Monk BMI Composers’ Competition. 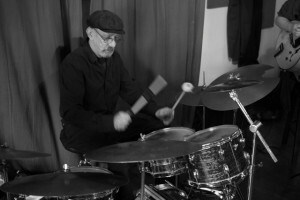 Drummer Billy Mintz has been performing with the members of this group in various formats for the last thirty years, starting when he moved from New York to Los Angeles in 1981. Billy met the great John Gross at that time along with other great LA jazz musicians playing in Tom Persons’ big band. 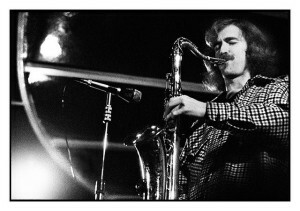 Billy started playing with incredible Putter Smith in Alan Broadbent’s Trio in 1989. 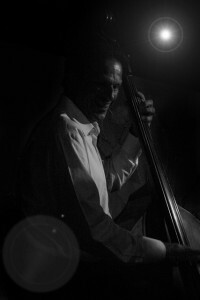 In 2003 Billy moved back to New York City where he started playing in Roberta Piket’s trio. 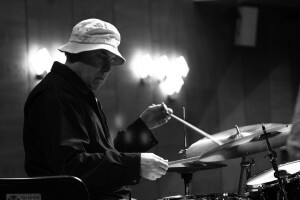 John Gross is an internationally respected musician and has resided in Portland since 1991. Among his employers past and present; Harry James, Stan Kenton, Lionel Hampton, Shelly Manne, Don Ellis, Woody Herman and Toshiko Akiyoshi. He performs regularly with Gordon Lee Quartet, David Friesen, David Frishberg, Alan Jones Sextet and his own groups Blema Bii and the John Gross quartet. John has taught at universities in the US and Europe and is the author of “185 Multiphonics for the Saxophone, A Practical Guide” published by Advance Music. 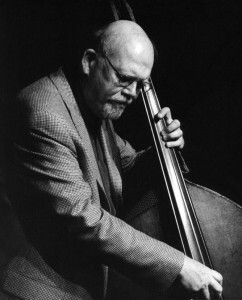 Putter Smith is a legendary jazz bassist who has played with great artists such as Thelonious Monk, Art Blakey, Warne Marsh, Alan Broadbent, Bob Brookmeyer, Billy Eckstine, Diane Schuur, Lee Konitz, Jackie and Roy, Carmen McRae, Gary Foster, Art Farmer, Blue Mitchell, Art Pepper, Ray Charles and many more. Siskiyou Music Project welcomes back the New West Guitar Group. Featuring John Storie, Perry Smith and Jeff Stein, New West Guitar Group has been making their mark as a fresh, cutting-edge guitar ensemble. Performing classic popular covers, jazz standards and exciting originals, NWGG combines the acoustic and electric guitar to create their signature sound. Based in Los Angeles and New York, the ensemble tours extensively through the United States and aboard giving concerts and masterclasses. 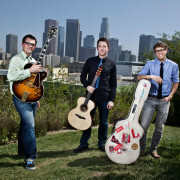 Graduates of USC’s Thornton School of Music, the trio’s versatility as players and composers have given them the reputation as pioneers in the realm of guitar ensemble. 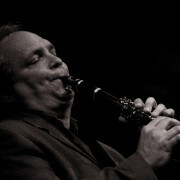 Siskiyou Music Project Welcomes back one of the finest jazz clarinetists on the planet, Ken Peplowski on Thursday, October 2 at Paschal Winery in Talent at 7 p.m. as part of our “Jazz In The Vineyard” series. 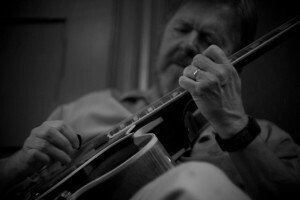 Ken will be joined by local favorites The Ed Dunsavage Trio with Joe Cohoon & Chicken Hirsh.